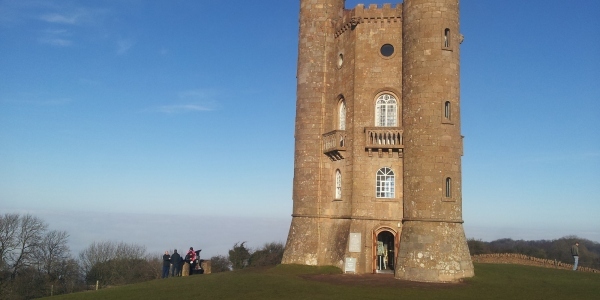 Go Cotswolds provide tours of the Cotswolds from Stratford-upon-Avon. 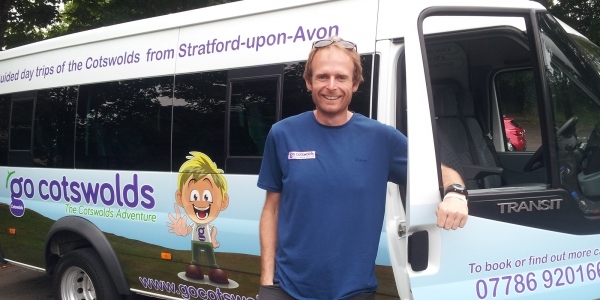 Tom, who is the owner and driver takes you out in his 16-seater minibus from Avonlea around the beautiful Cotswolds. He will take you on a guided tour that includes stops at Dover’s Hill (the sight of the Cotswold Games and the world shin kicking championship) Chipping Campden, Stow-on-the-Wold, Bourton-on-the-Water, and many other stunning Cotswold villages. He has a wealth of fantastic knowledge and this is a great way to get a taste of the Cotswolds. 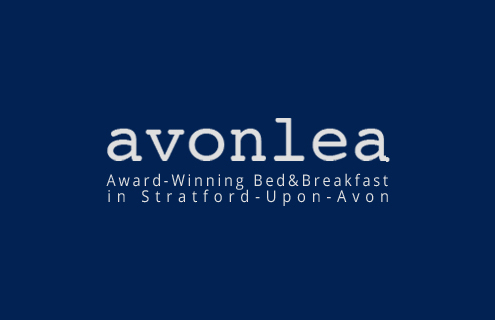 If you decide to book do not forget to tell Tom you are staying with us at Avonlea as he is often running special offers for our guests! Below you will see some of our favourite villages in the Cotswolds many of them but not all are seen on the Go Cotswold tour. A pretty little village straddling the top of the escarpment above Buckland and Laverton. This most aptly named village, when the snow does fall it stays in Snowshill longer than elsewhere in the Cotswolds. The village, very pretty in its own right is also home to one the gems in the National Trust’s crown – Snowshill Manor – one time home of Charles Paget Wade -an architect and craftsman and his thousands of fascinating treasures. In addition to this eclectic collection, this Cotswold manor house has a beautiful Arts & Crafts style garden. Nearby Snowshill Lavender sits atop the escarpment and provides a stunning backdrop in the summer of lavender fields stretching to the horizon. The perfume is truly amazing and Snowshill Lavender is open to the public complete with shop and tea room. Please contact them for opening times and dates. The Slaughters comprise of both Lower Slaughter and Upper Slaughter both set on the banks of the River Eye and joined by the very same river, these are possibly two of the prettiest villages in the Cotswolds. Lower Slaughter is just off the Roman Fosse Way with a collection of streamside Cotswold stone cottages and pretty gardens. There are two hotels and a mill which has been converted into a gift shop and tea shops. The church has a fine 12th-century arcade. A little less than a mile away is Upper Slaughter which is equally attractive with old cottages and farmhouses. There is a small village square with almshouses which have been restored in the past by Lutyens. St Peter’s Church is again 12th century and a fine example of such architecture. The Market Square is large and impressive and, surrounded by houses, shops and inns all built in the local Cotswold stone, it gives the feeling of being the focus of town life over many centuries. At nearly 800ft, Stow-on-the-Wold is the highest of the Cotswold towns, approached uphill from all directions. 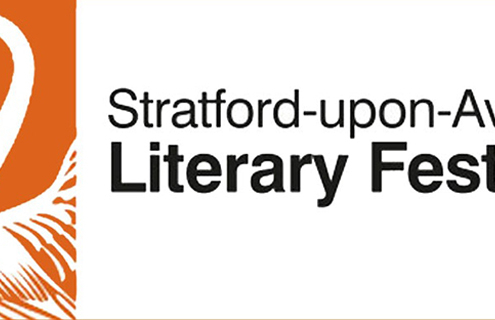 Stow’s chief claim to history is its role in the English Civil War. A number of fights took place around the area, the local church of St. Edward being damaged in one such skirmish. On 21 March 1646, the Royalists, commanded by Sir Jacob Astley, were defeated at Stow, with hundreds of prisoners being confined for some time in St. Edwards. Bourton-on-the-Water, known as ‘The Venice of the Cotswolds’ is an extremely popular village where elegant 18th-century bridges cross the River Windrush as it flows through the centre of the village. Many of the buildings in Bourton-on-the-Water have been built in warm yellow Cotswold stone and many of the houses and cottages are 300 years old, some dating back to Elizabethan times four hundred years ago. 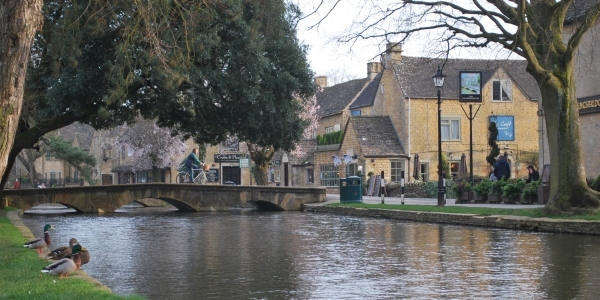 Bourton-on-the-Water is home to a number of tourist attractions including a Model Village, Birdland, Model Railway, Cotswold Perfumery, Cotswold Motoring Museum and Dragonfly Maze. Picture perfect with its honey-coloured Cotswold stone buildings, Broadway is one of the most picturesque of the Cotswold villages. The ‘broad way’ is the wide grass-fringed main street, centred around The Green, which is lined with red chestnut trees. 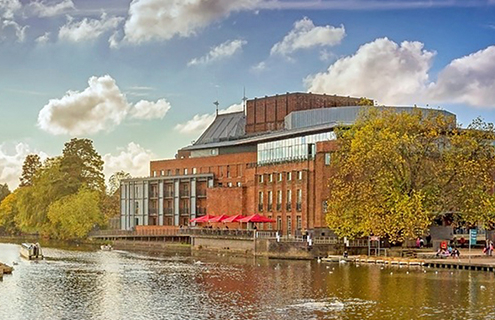 Broadway has attracted visitors from around the world for centuries due to its “chocolate box” looks. There is a wide selection of antique and high quality shops and many gift and souvenir shops. Frequently described as the ‘jewel in the crown’ of Cotswold towns, Chipping Campden is also one of the best preserved and most historically important. The High Street is lined with honey-coloured limestone buildings housing a range of wonderful and intriguing shops dating from the 14th century to the 17th century. In the town centre is the Market hall built in 1627 for the sale of butter, cheese and poultry. 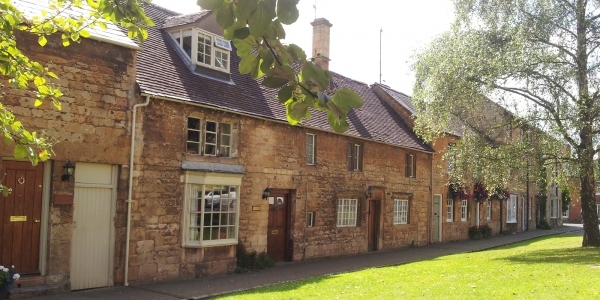 Chipping Campden has been thoroughly preserved and still presents the character of a Cotswold market town today.